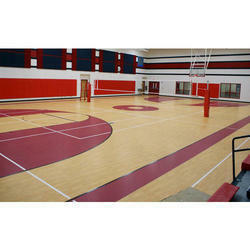 Acrylic synthetic meterial for Sports court with best quality and great Price. 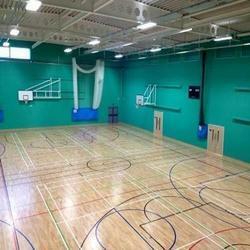 We are a leading entity, occupied in presenting a wide range of Synthetic Basketball Court Flooring. पॉलीप्रोपीलीन फ्लोरिंग टाइल साइज़: 1 X 1 Feet, मोटाई: 3 से 4"
5 - 8 layer synthetic surface with balancef mix of cushioning and hardess to reduce sports injury. We Balaji Sports Co. only One Manufacturing Firm in India dealing in Basketball Flooring.